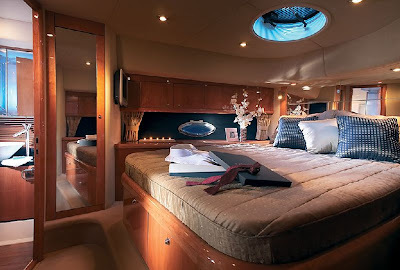 The Sunseeker 60 is a modern luxury performance yacht offers styling, design, performance and luxurious relaxation areas second to none features design by Nuvolari Lenard yacht design studio. 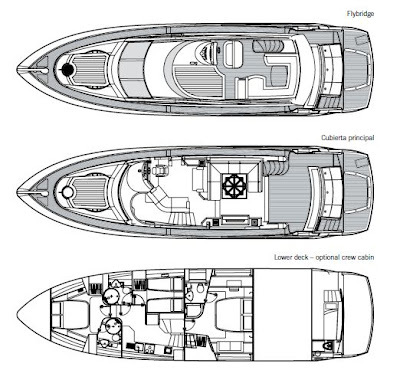 The deck plan on the motor yacht is quite different and improved for a yacht of this type. 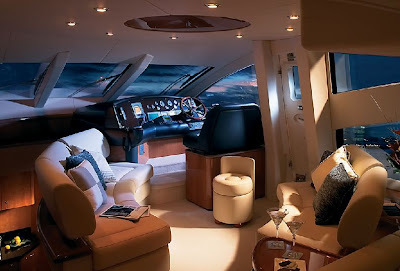 Her fly bridge is very impressive in both design and space. 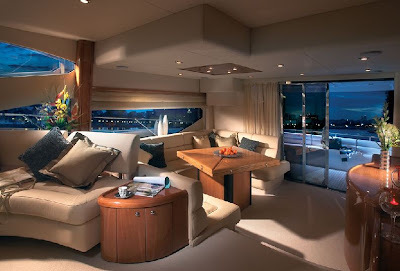 The Sunseeker yacht also boasts plenty of seating and resting areas inside and out perfect for relaxing, entertaining and dining. 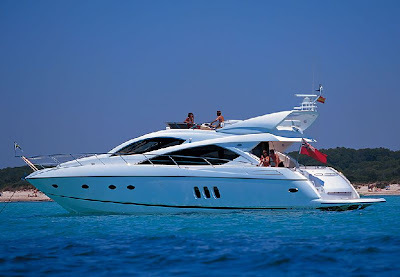 Motor yacht Sunseeker offers four comfortable staterooms all with modern furnishings, entertainment systems and ensuite bathrooms. 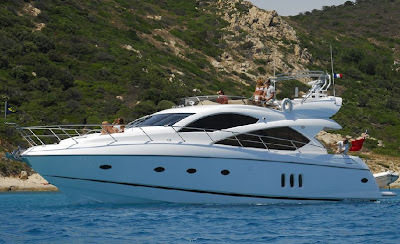 Sunseeker luxury motor yacht provides all the selection of luxury features and toys that one could wish for on a large modern yacht. 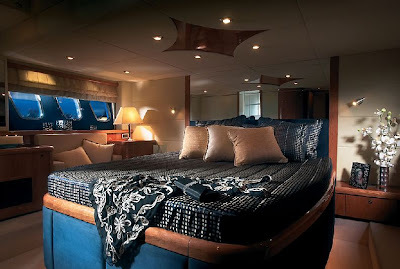 She has a central entertainment system which provides completely independent on-demand A/V library to all guest areas. 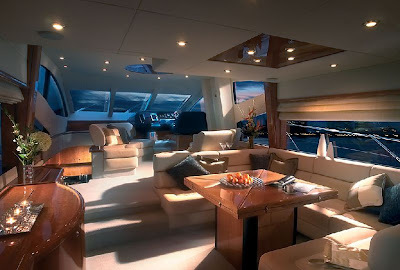 Her Communications include satellite telephone, VSAT broadband Internet/email access with a secure onboard Wi-fi network. 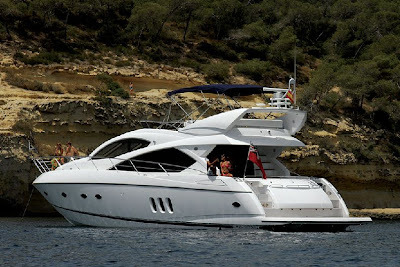 Her exceptional outdoor relaxation spaces (including the hot tub on foredeck with sunbed rap-around) and excellent swim platform are complimented by her water sports equipment. 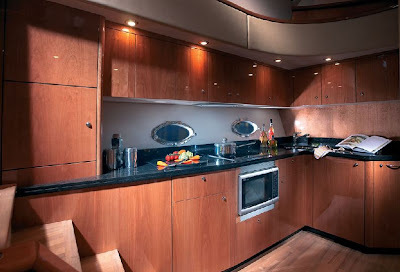 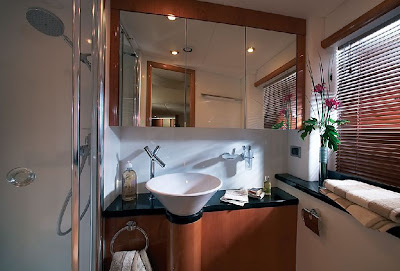 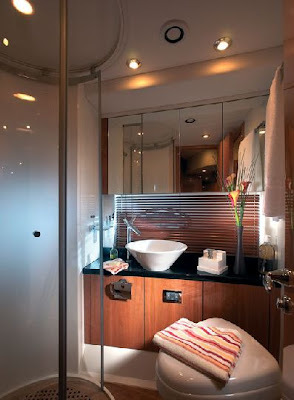 The Sunseeker motor yacht offers 4 guest cabins all with en-suite bathroom. 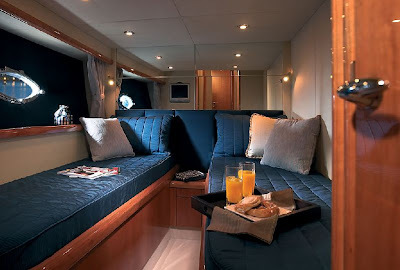 The cabins consist of 2 doubles & 2 twins and on some models the twin cabins convert to queens.